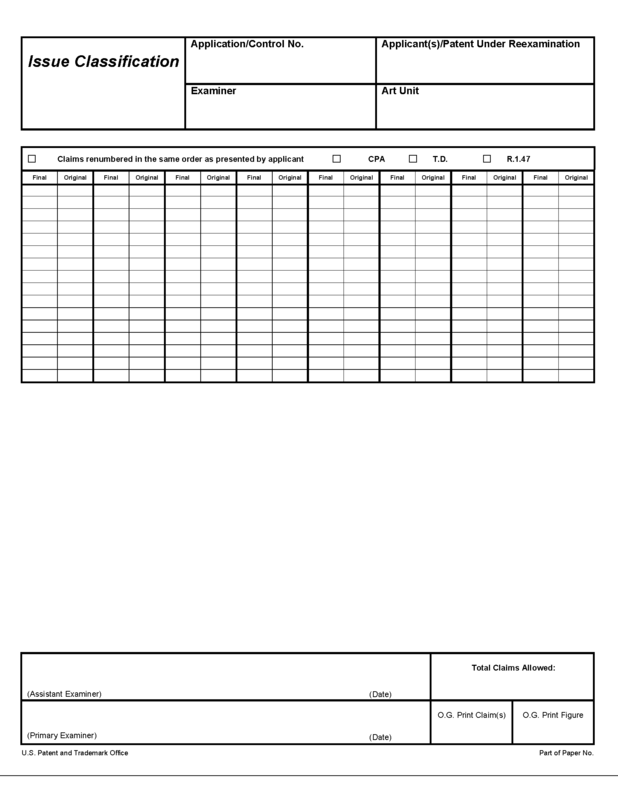 Examiners, when preparing an application for issue, are to record the number of the claim selected for printing in the Official Gazette in the box labeled "PRINT CLAIM" on the Issue Classification Sheet. 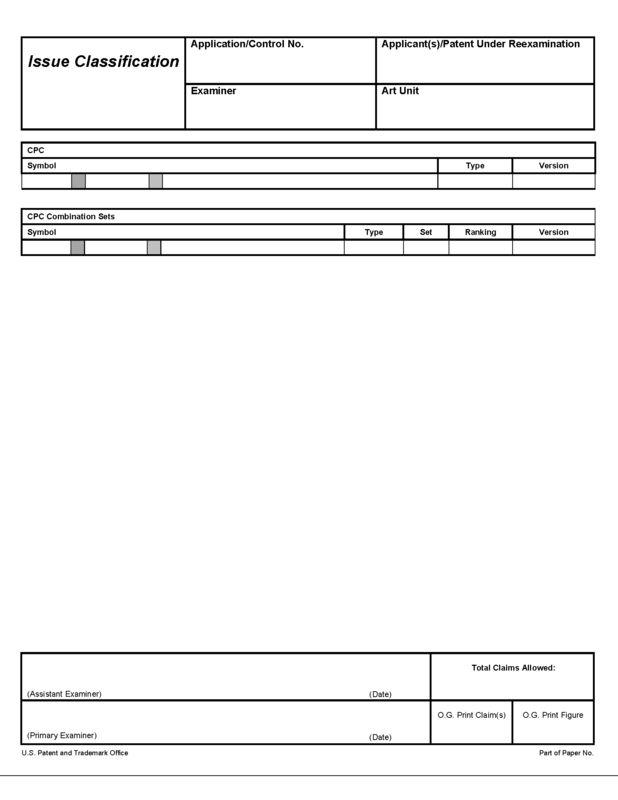 Examiners, when preparing an application for issue, are to record the figure selected for printing in the Official Gazette in the box labeled "Print Fig." on the Issue Classification sheet. Ordinarily a single figure is selected for printing. This figure should be consistent with the claim to be printed in the Official Gazette. The figure to be printed in the Official Gazette must not be one that is labeled "prior art." If there is no figure illustrative of or helpful in understanding the claimed invention, no figure need be selected. "None" may be written in the box labeled "Print Fig. 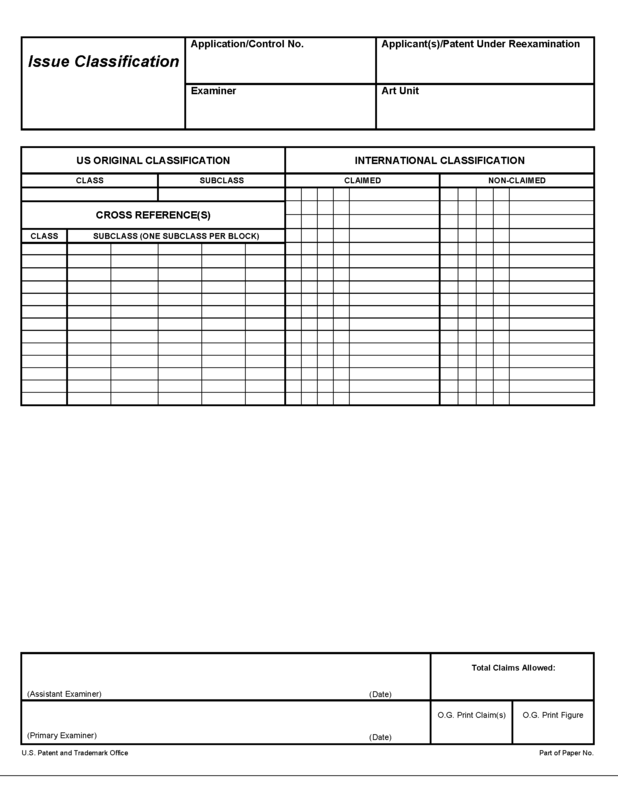 "on the Issue Classification Sheet.